​At Evans Dental care, our goal is to provide individualized care to each patient. 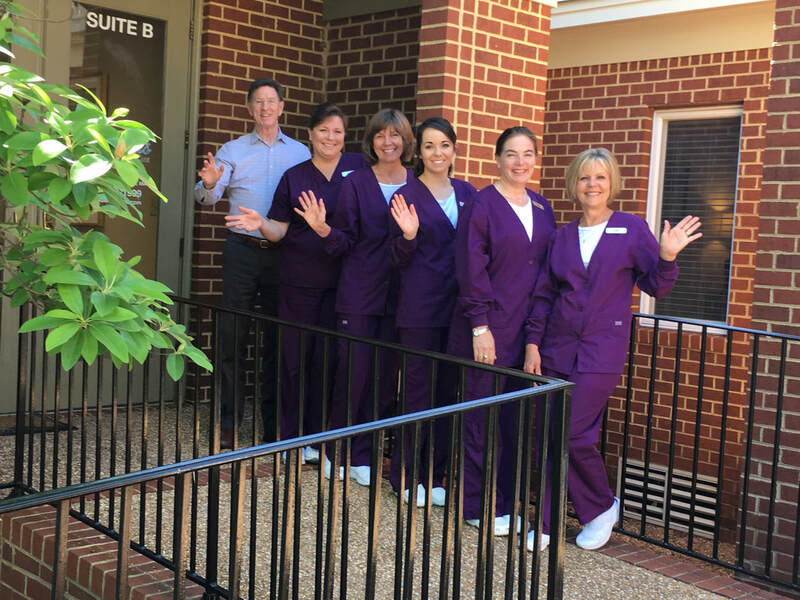 Dr. Evans, our assistants, hygienist, and administrative team do this by compassionately listening to patient needs, whether scheduling appointments, submitting claims, or discussing dental concerns. The bottom line in our office: We start off by listening (carefully) to your wants, needs, and desires. We don't proceed unless YOU see a benefit in doing so. ​​ Dr. Peter Evans attended high school right here in Williamsburg before earning a Bachelor of Science degree from East Carolina University. In between this educational beginning and graduate school at the Medical College of Virginia, he worked at the National Institute of Health, performing cancer research. Dr. Evans earned his Master of Science degree in Microbiology and Immunology and his Doctorate of Dental Surgery at the Medical College of Virginia. Since beginning his dental practice in 1982, Dr. Evans has continued to expand on his knowledge base with advanced training courses. In addition to holding membership with several dental associations, Dr. Evans has achieved the highest level of education, becoming one of only 1800 professionals in the world to hold Mastership in the Academy of General Dentistry. Dr. Evans believes in serving his patients with the highest standard of care, and in bettering the dental field as a whole. He has served as an adjunct faculty member at Virginia Commonwealth University, and he coaches others in the dental field through local and national training seminars. One of the aspects of dentistry Dr. Evans is passionate about sharing with patients and peers is BioCompatible dental care. He is one of the founding members of The American Academy for Oral Systemic Health. Every person who visits Evans Dental Care has his or her own unique needs for oral health and an attractive smile. Our office has been designed for comfort as well as efficiency. The equipment, techniques, and materials that Dr. Evans uses have been proven to facilitate comfort, health and safety, and long lasting results. At Evans Dental Care, your dental care is recognized for its power to impact general health. Contact our office for your visit today.